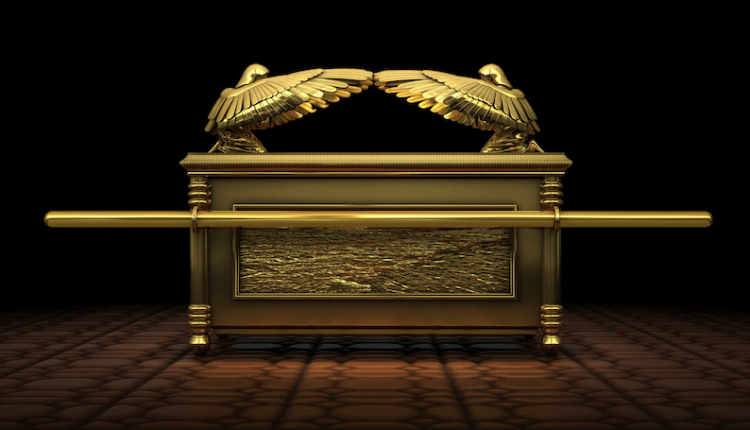 If we study the meaning of each part of the Ark of the Covenant we will receive a wonderful salvation message. The Ark of the Covenant with the Mercy Seat and the Cherubim was located on the other side of the veil in the Most Holy Place. There the High Priest entered only once a year to sprinkle sacrificial blood on top of the Mercy Seat. The appearance of the Ark was quite awesome, not only because of its brilliant gold, but also because of the mysterious light that hovered over the center of it—the Shekinah Glory, which was the glory of the very presence of God. The Ark itself (without its lid) was just a box, 3 ½ feet long, 2 ½ feet wide and 2 ½ feet deep. It was made of acacia wood overlaid with gold. The wood represented the humanity of Christ, and the gold, His deity. The most impressive part of the Ark was its cover, which was made of pure gold. But it was not just a flat piece of gold. Two Cherubim were hammered out from it, one on each end, which were made to have their wings spread upward and overshadowing the cover, each with eyes that gazed down at the blood sprinkled on the cover, also called the Mercy Seat (Ex. 25:17-22). This is so true, but I would emphasize here that God intended for us to see the cherubim gazing not at the blood of animals, but rather at what the animal’s blood represented—the precious blood of Christ. Those Cherubim I believe were made to be in awe not of the shed blood of animals, but of the blood of Christ shed for us. That is, they were in awe, as we should be, that God loves us so much that He gave His only begotten Son that whosoever believes in Him should not perish but have everlasting life (Jn. 3:16). Accordingly, we must now rely on what the blood sprinkled Mercy Seat represents for us: the blood of Jesus Christ as a propitiation for our sins—which, in fact, it is. But it covers not all people, it covers only those who have come to the place where the Shekinah Glory hovered—to repent of their sins and cry out to God for mercy. There at the mercy seat, which represents the cross, God applied (and will continue to apply) the blood of Christ to our heart, which forgives our sins, and covers (appease, propitiate) the wrath of God for us forever. So, as we come, finally, to the Ark in our prayer journey, let us thank God that the veil was rent in two at His death—making it possible to come boldly into His presence, to commune with Him at any time. And let us thank Him for His mercy and for the merciful covering of the blood of Jesus that covers the wrath of God for us who believe. Let us praise Him and rejoice in His great love for us, for He has given us entrance into His presence and into His realm of glory and kingship. In this Most Holy Place, surrounded by the Shekinah glory, we sit with Christ on His throne to pray. Hallelujah! What great confidence we can have in Him as we pray! Source: Charles E. Fuller, The Tabernacle in the Wilderness (USA: Fleming H. Revell company, n.d.), p. 80-90. 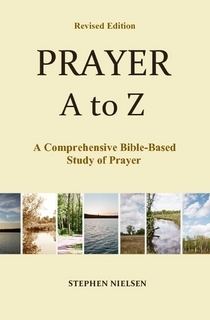 This entry was posted in Confidence in Prayer, Prayer A to Z Excerpts and tagged Ark of the Covenant, Cherubim, Mercy Seat, Shekinah glory, the tabernacle in the wilderness. Bookmark the permalink.